What is high energy physics doing? 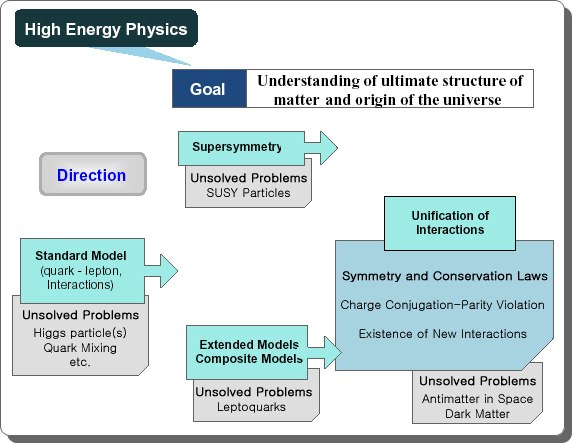 The goal of high energy physics is to understand and describe the structure of matter and its interaction. The fundamental constituents of matter are leptons and quarks which are specified as the fermions and arranged into generations characterized by lepton numbers and quark flavors. Leptons are free particle, on the other hand quarks only exist as bound states in hadron. There are four known forces(interaction) governing our world: gravitational, electromagnetic, weak and strong force. In the modern language of physics, interactions are due to exchange of field quanta which are bosons: Gravition-graviational force, photon-electromagnetic force, vector boson(W,Z)-weak force, gluon-strong force. The electomagnetic, weak and strong forces are well explained in the framework of Standard model, however the gravitation is still open question. 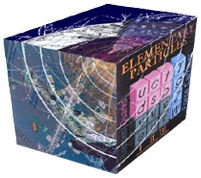 Except of higgs particle, all particles which standard model predict are discovered.